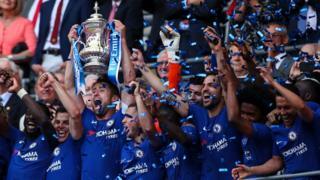 FA cup draw: Who's playing who? The FA cup draw has been announced! After Manchester United's win against Chelsea on Monday night, they will now play Wolves. Premier League champions Manchester City will play Swansea City. Millwall face Brighton and Watford will host Crystal Palace. Who's playing who in the SSE Women's FA Cup? 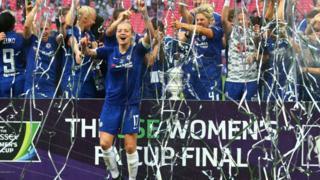 After Durham's fifth round win against Bristol City on Sunday - they will now face the two-time Women's FA Cup winners Chelsea. Women's Super League leaders Manchester City will play Liverpool. Championship side Manchester United will travel to Reading and Aston Villa will host West Ham. The matches will be played on 17 March with the finals being played at Wembley Stadium on Saturday 4 May. Football: Should kids be banned from heading balls?